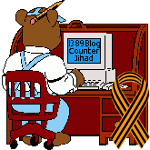 Michael Coren with Nick Cohen: Freedom of speech under attack — 1389 Blog - Counterjihad! Nick Cohen, author of “You Can’t Read This Book: Censorship in an Age of Freedom” joins Michael Coren to discuss the alliance between the Left and islamofascism. From the fall of the Berlin Wall to the advert of the Web, everywhere you turn you are told that we live in age of unparalleled freedom. This is dangerously naïve. From the revolution in Iran that wasn’t to the imposition of super-injunctions from the filthy rich, we still live in a world where you can write a book and end up dead. After the fall of the Berlin Wall, the collapse of Communism, and the advent of the Web which allowed for even the smallest voice to be heard, everywhere you turned you were told that we were living in an age of unparalleled freedom. You Can’t Read This Book argues that this view is dangerously naive. From the revolution in Iran that wasn’t, to the Great Firewall of China and the imposition of super-injunctions from the filthy rich protecting their privacy, the traditional opponents of freedom of speech – religious fanaticism, plutocratic power and dictatorial states – are thriving, and in many respects finding the world a more comfortable place in the early 21st century than they did in the late 20th. This is not an account of interesting but trivial disputes about freedom of speech: the rights and wrongs of shouting ‘fire’ in a crowded theatre, of playing heavy metal at 3 am in a built-up area or articulating extremist ideas in a school or university. Rather, this is a story that starts with the cataclysmic reaction of the Left and Right to the publication and denunciation of the Satanic Verses in 1988 that saw them jump into bed with radical extremists. It ends at the juncture where even in the transgressive, liberated West, where so much blood had been spilt for Freedom, where rebellion is the conformist style and playing the dissenter the smart career move in the arts and media, you can write a book and end up destroyed or dead. Seems to a lot of censorship, in many forms, occurring these days. I may not agree with what is said, but I’ll defend to the death their right to say it.